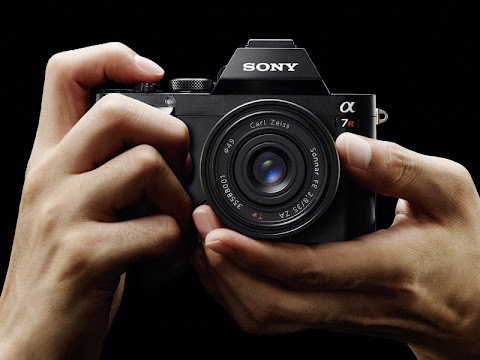 The Sony A7 and A7r, what about the RX10? The recent Sony cameras are all amazing in their own right. The A7 and A7r are the first of their kind; a full frame (135) mirrorless camera with EVF. The QX10 and QX100 are cameras that use a smartphone as a display. The RX10 is a fixed lens camera with a great 1" sensor is much better in image quality than a typical point-and-shoot. Sony is trying new things in the camera space, doesn't seem as though they are hindered by 50-100 years of camera tradition, while using established camera and lens technology absorbed from Minolta. However, with the announcement of these cameras and carefully looking at the specs of the system, I've come to the conclusion that I don't think I would be able to use full frame to its maximum potential. I'll probably revisit this thought on a timely basis, as things may change, I may start making money with photography, film availability may change, there may be an advance in technology that may change and my thoughts and preconceived notions on digital cameras may change. But as a walk around camera, the RX10 looks great as well, it has an EVF, a great 1" sensor, and image stabilization, and a constant F2.8 aperture zoom lens. I'm not a fan of zoom lenses but for a walk around camera, this may be perfect depending on how it feels in hand, and the overall size. As an aside, I do not prefer the term "full frame", but everyone uses it and most people will understand, so I do so begrudgingly. It shouldn't bother me, but it still does. The term "full frame", in English, doesn't mean anything unless you have defined what is full. Full frame compared to... the first portable camera, a Leica A. Back when film emulsion was more primitive and achieving film flatness was difficult, the advantage stated for the 135 Leica format was to have lenses that were shorter in focal length than large format lenses, so you were able to have very deep or long depth of field, but you could keep the F/# open so you could have faster shutter speeds in a handheld camera, all while having good enough quality in a portable package. Long, deep depth of field... funny how times change. Full frame as we know it today is technically the Leica frame. Oscar Barnack decided to have cinema film advance 8 perforations in his lab camera. Post WWII, Nikon used 7 perforations to have about 24mm x 34mm and was quickly changed to 8 perforations due to complaints from the American soldiers occupying Japan. In a sense, I guess it shows how popular and mainstream the single reflex camera with 135 Leica format film became, since even digital cameras are making terms in respect to it. Rant over. I'm very happy with an APS-C camera that is a few generations old, the Ricoh GXR Mount Module. With the right lenses this gives amazing results and can cloud my judgement on why I think I need a new camera as far as image quality goes. I know I would be happy with any of the new Olympus micro four-thirds cameras that are selling today. For me, there isn't a significant advantage in having more pixels and a larger sensor. Perhaps some low light and ISO, but Sony tends to make their full frame cameras with a lot of megapixels. I know they wouldn't sell, but sometimes I dream of a 10 to 12 mega pixel full frame camera with today's sensor technology, and with huge pixels to capture insane amounts of light. Also, my old film lenses, especially the wide angle and fast F-number lenses will probably not work that great, as discussed here. I've also come to think that the character of the lens is not necessarily squandered from the crop effect from a smaller than intended sensor, depending on you point of view. When I use my favourite 50mm lenses on the Ricoh GXR Mount module (that has an APS-C sensor), I don't see a 75mm lens, but I see a 50mm lens. Perhaps it's because I know the character of the lens, or perhaps it's because I can see the longitudinal magnification too. I don't know why it's not discussed more often, but the longitudinal magnification is important as well, and especially visible with a tele lens as subjects (mountains and trees) that are miles apart can be collapsed on the image, and the wide angle lenses that can give you a perspective that everything is spaced far apart longitudinally than it really is. The FOV is only one aspect of the lens magnification, the transverse magnification. Go figure. In any case, one of my goals is to see how much of a compromise in image quality I could live with by going smaller than APS-C. I consider an object small by looking at it in three dimensions with the lens attached, so the Sony NEX systems are big -- since most of the lenses stick out. The Ricoh GXR and Olympus Pen cameras are bulky in height with the EVF attached. For example, the Nikon 1 system was perfect for me in many ways such as size and speed, but I decided not to invest in the system since I was not comfortable with making it my main camera due to the image quality. I'd like to have a small walk-around camera that is fast in operation, but also have a larger APS-C camera a larger camera can also be full frame, I guess. The walk-around camera could have less image quality or other restrictions such as a fixed lens, maybe like the RX10. The Nikon 1 was right in between. The Sony A7 and A7r seem to have great speed, and is small and compact with the right lenses, and would have amazing image quality. The day may come where I have to have a camera like the A7 brothers but with every new camera announcement, I feel more and more that I have to up my photo game if I were to get just like if I had a Olympus OM-D E-M1.